Attention Las Vegas Real Estate Agents, or anyone that wants to be part of Vince Neil's HABITROT run / walk for Habitat for Humanity. You can 'Run Like a RockStar' on Saturday May 17th at The District at Green Valley Ranch. It will be a fun Las Vegas / Henderson community event, and for such a great cause. ARE YOU READY TO RUN LIKE A ROCKSTAR!?? Tease your hair, grab a sweatband and come join Vince Neil at Habitat for Humanity’s “Big Hair” 5K Run and 1-Mile Fun Walk on May 17, 2014 in the District at Green Valley Ranch. Dress up as your favorite 80s “Hair Band” Rockstar and run, walk or dance the entire course! Don’t have any 80s gear? Included in every race packet is an awesome shirt, a rad green or blue mullet wig and a spiked bracelet. What are you waiting for? Grab your most righteous friends, form a team and register today! Not only do you have the opportunity to wear a blue mullet wig on a Saturday morning and hang out with Vince Neil, but by participating in Habitat’s 5K, you are joining the fight to eradicate poverty housing in Southern Nevada! Habitat for Humanity Las Vegas provides simple, decent affordable homes for families in need throughout Clark County. Although building is a crucial element of what we do, the impact of Habitat’s work goes far beyond the brick-and-mortar of constructing housing. Ultimately, our organization provides a critical piece of the puzzle in the fight against poverty housing – taking a chance on deserving families in need of a hand-up from their current dire circumstances. Video message, John Gafford of Simply Vegas Real Estate and Vince Neil. Habitrot Big Hair 5k from John Gafford on Vimeo. I've written many times in the past about all the entertainers and celebrities living in Las Vegas that give back to our community. This event with Vince is just one more example, and another reason why Las Vegas is such a great place to call home. 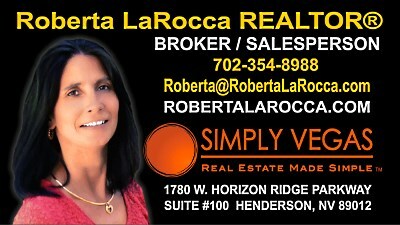 If you're interested in relocating to Las Vegas, buying a new or resale home, or listing your Las Vegas home, I hope you'll allow me the opportunity to assist you. 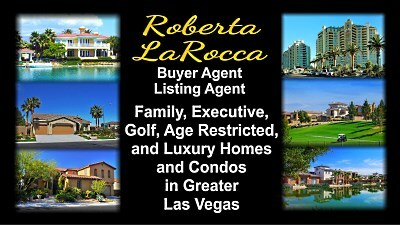 I can be reached at Roberta@RobertaLaRocca.com or give me a call at 702-354-8988. 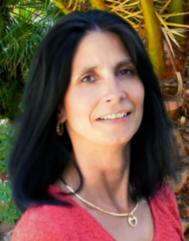 I look forward to hear from you!